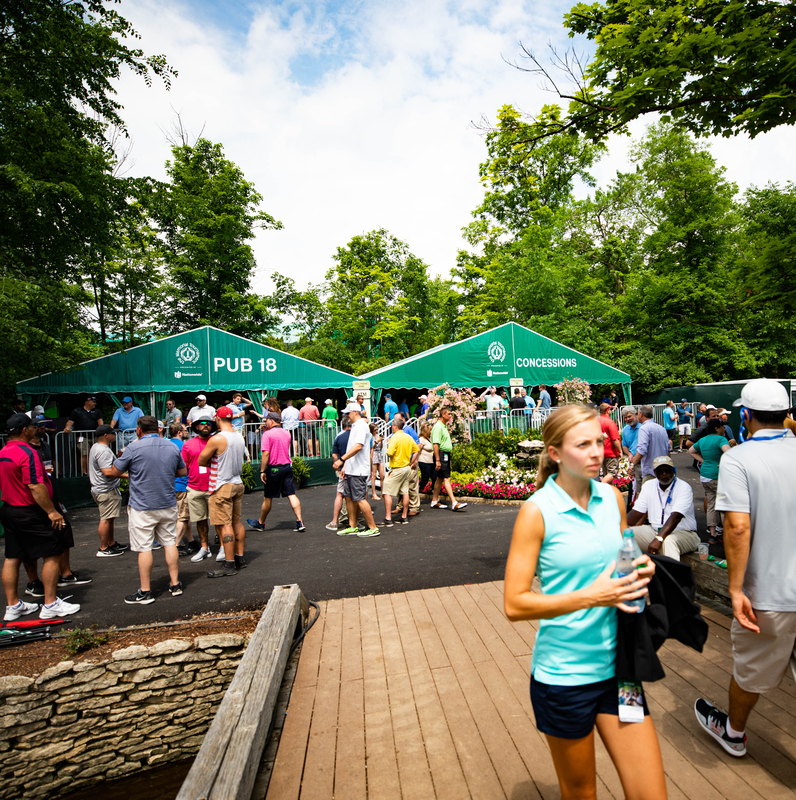 The Patio at Patron Village is an area open to all Tournament patrons located between the Memorial’s 10th fairway and 14th green. The Patio is an ideal spot to hang out, and it includes corn hole and a custom golf experience called the Lexus Bunker Challenge. 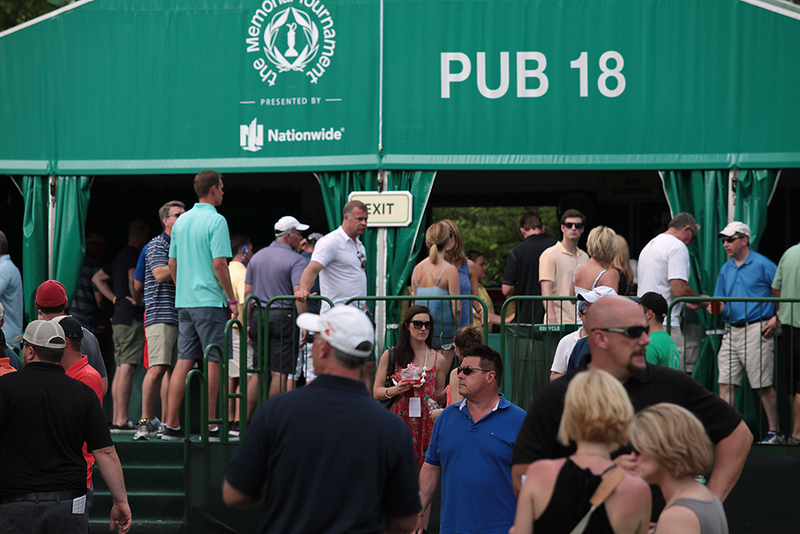 Choose from food and beverage options, including Beers of the Memorial from MillerCoors, wine and the Patrón House featuring custom cocktails. 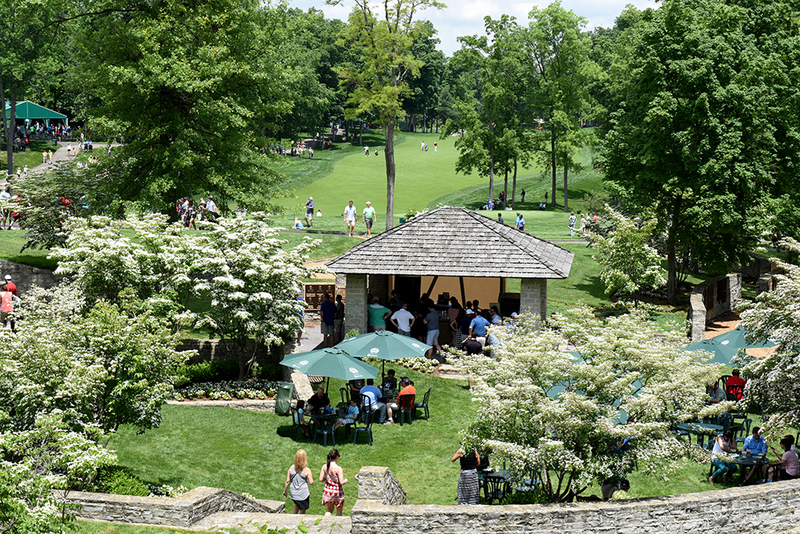 For those who are looking for the perfect place to stop after Tournament play, The 19th Hole at the Memorial Tournament is open to the public, Wednesday through Saturday. Tournament passes are not required and there’s no cover charge. The 19th Hole is located near the Memorial’s Sixth Tee entrance/exit off State Route 745/Dublin Road. Call your friends! 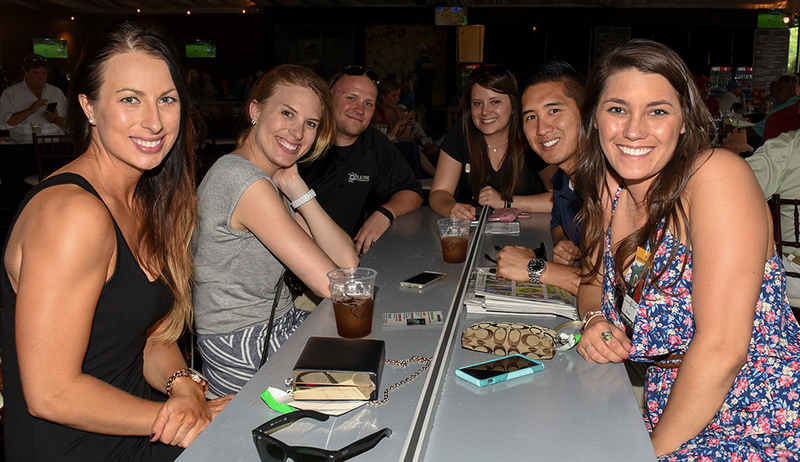 This is a sports bar environment complete with a beer and wine patio, Golden Tee, golf pong, food trucks from noon - 8 pm and live music from 4 pm - 8 pm. 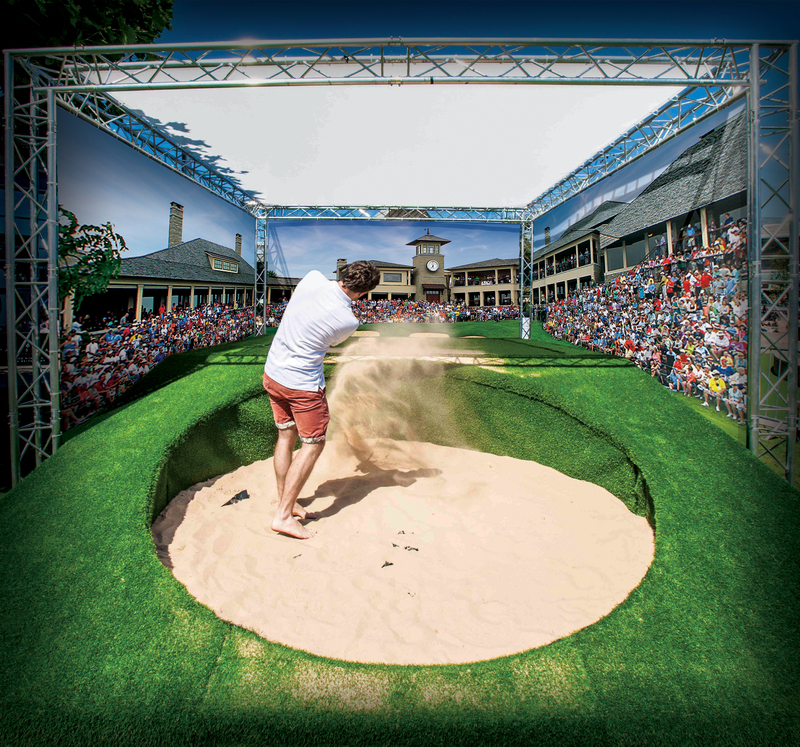 Looking to lounge and have a great view of one of the best par-3 holes in golf? The Hill on No. 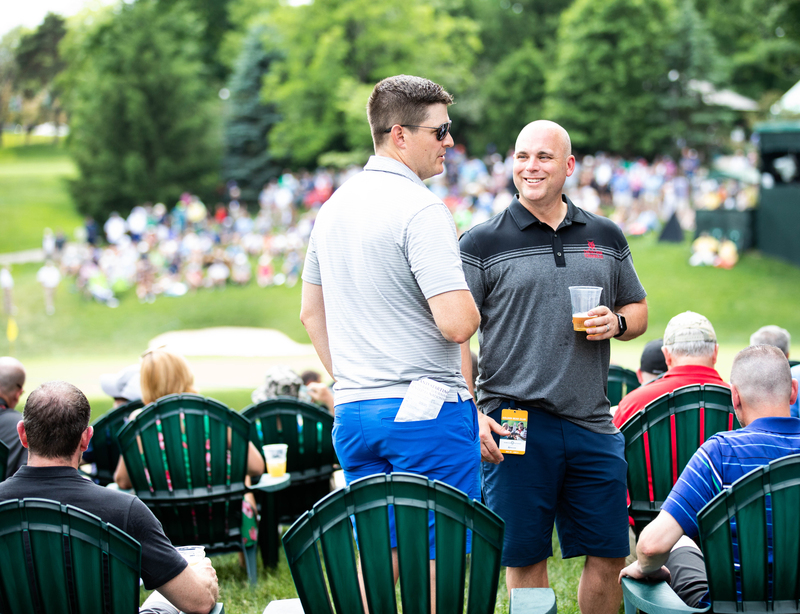 12 will be your destination, located on the Memorial Tournament’s signature 12th hole with brilliant views of competition at one of the most picturesque spots at world-renowned Muirfield Village Golf Club. 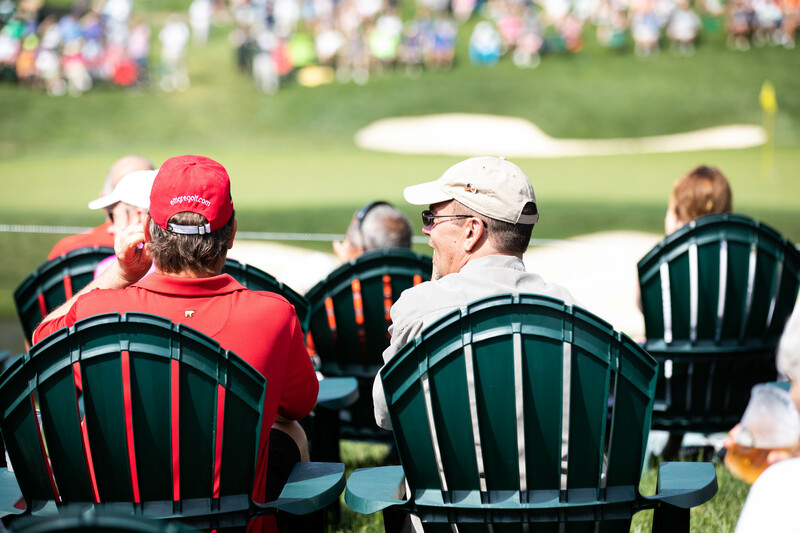 Relax in Adirondack chairs and don’t worry about missing a minute of the action, or even leaving your seat, thanks to the available chair-side wait service. 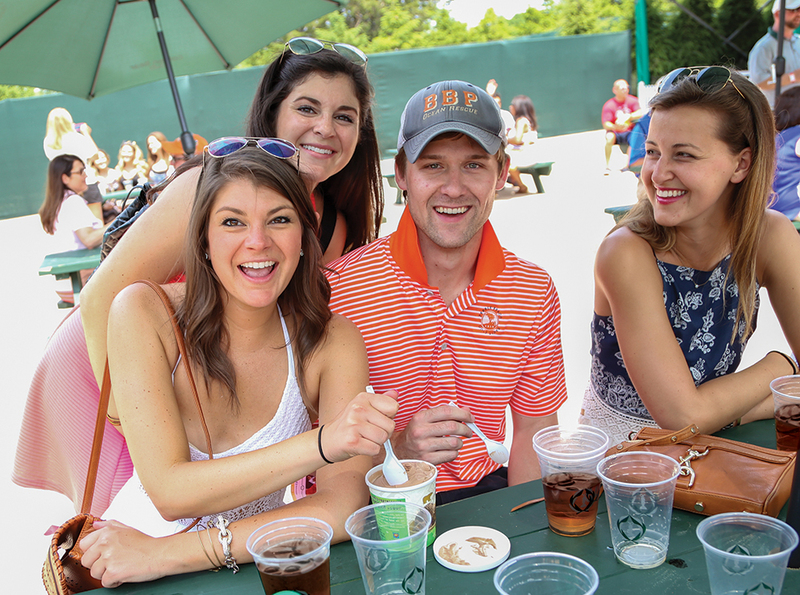 Pick up your favorite drink and a bite to eat while you find a relaxing spot to hang out or watch play in this convenient location at the heart of the back nine crossroads. 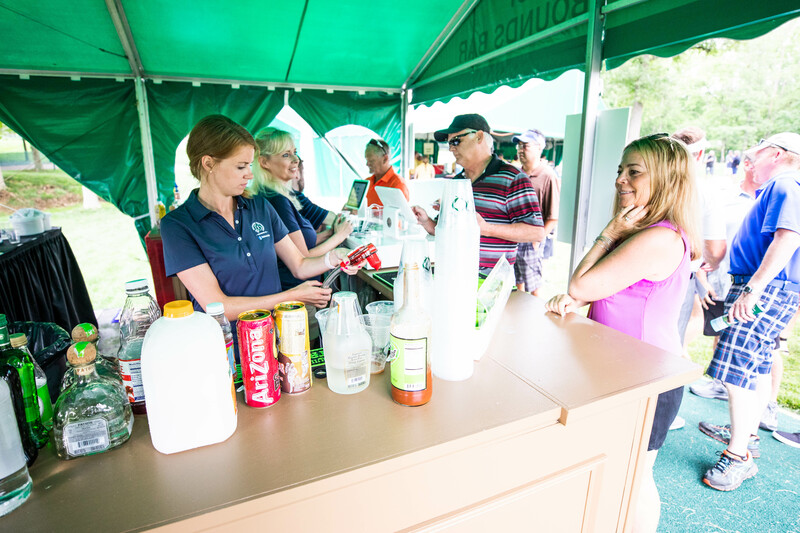 Enjoy one of four full bars on course when you visit this hot spot on the front nine. Visit the Out of Bounds Bar behind No. 6 green. Take advantage of the shade in this covered, open-air venue. 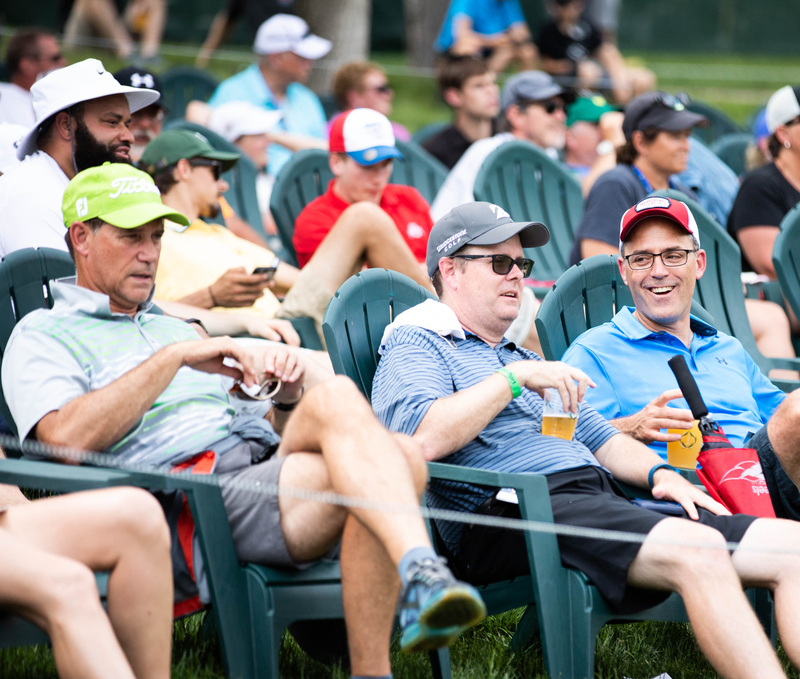 Grab your Tournament merchandise in the Pro Shop, or continue to watch the action on TVs in this family-friendly spot with plenty of seating. 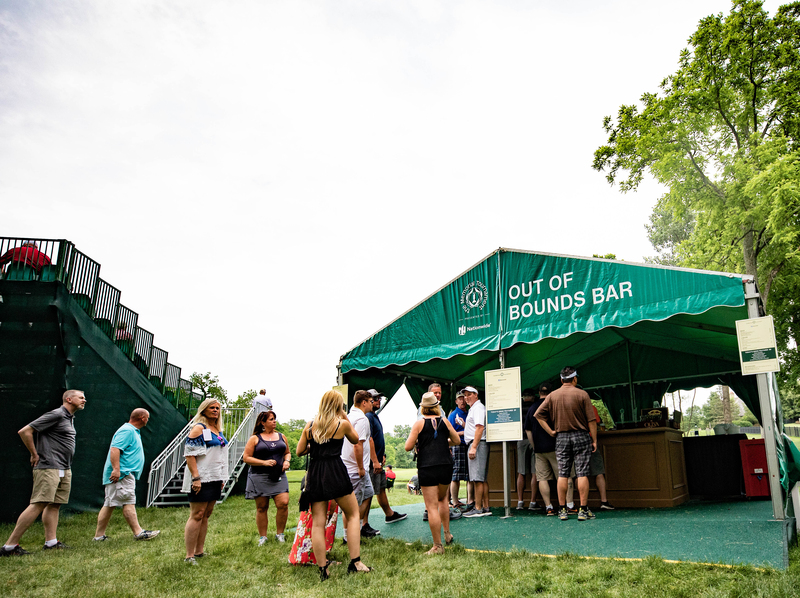 Food and full-beverage service is available in this fan-favorite location across from the Tournament’s main entrance. You can also have your picture taken with the Memorial Tournament trophy Monday, Tuesday and Wednesday from 10:30 am - 2:00 pm at the Patron Information Tent across from the Champions Pavilion at the west end of the Practice Area. 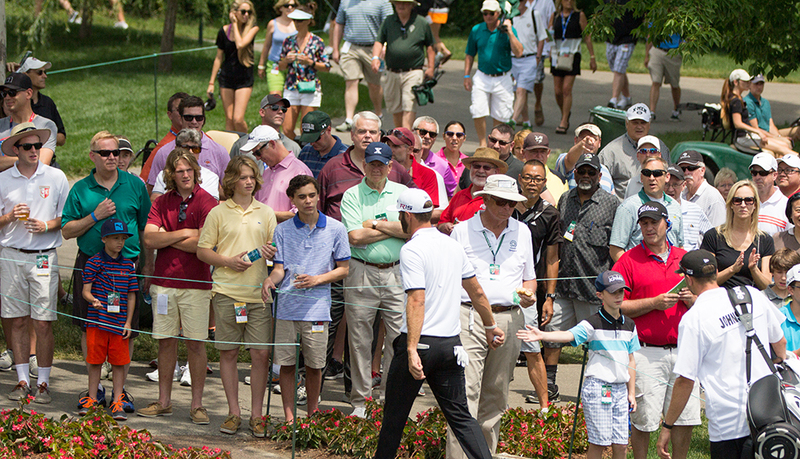 Enjoy one of four full bars on course when you visit Memorial Park along No. 1 fairway to see the Tournament’s long history of honorees and the game’s greatest individuals.